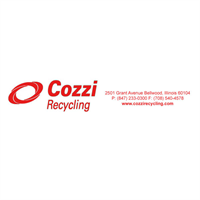 Cozzi Recycling is full-service recycling firm specializing in the marketing of ferrous and nonferrous scrap metals. We help industrial manufacturers maximize return on recyclable materials by designing and implementing customized scrap removal programs unique to our customer’s needs. Our full-service processing facilities ensure that your scrap metal is accurately weighed, graded, and paid. Operating a state of the art truck fleet that provides a 360-degree view of our daily trucking operations we can provide up to the minute updates to track your scrap from the moment it is shipped until it is received. With various of equipment to store your scrap, an experienced recycling professional will work closely with you to help you handle your scrap efficiently.